The Ultimate One-Pan Oven Cookbook – my cookbook! 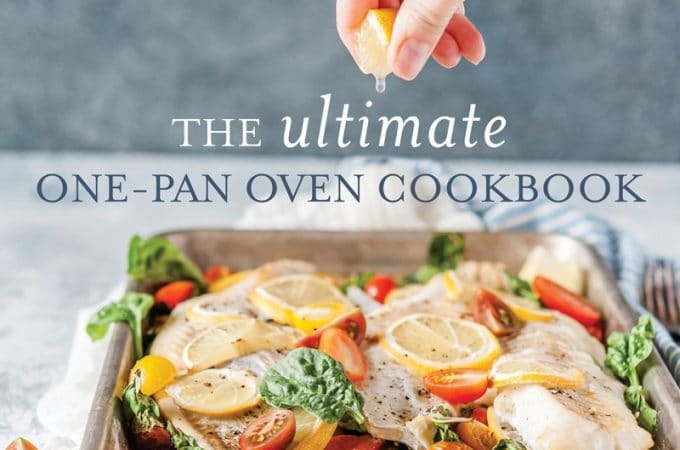 The Ultimate One-Pan Oven Cookbook features 75 unique and delicious recipes from breakfast to dinner to dessert, and nibbles. It focuses on complete meals using just your sheet pan, dutch oven, roasting pan, and more. Each recipe is made in the oven, without you having to spend hours stirring pots and pans and combatting grease-splattered counters….